Since most of us can't afford seperate day and night dresses, it's always nice when outfits can take you through the day and night. So I went on a search for such dresses, (and let me tell you, it certainly was harder to find all-day dresses than for day or night only dresses,) and found these lovelies: These will keep you stylish as you slip continue to enjoy summer and start experimenting with fall styles. 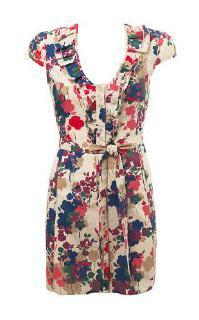 For something casually-sophisticated and cheerful, I like this Miss Selfridge Lollipop Ruffle dress. This Top Shop Rose Print Dress may feel more night time than day & night, but I the bright blue colour and short length makes me think that it would be suitable for fancy lunches or dinners out. Pretty Marc by Marc Jacobs dresses -The white halter is very summer-y, and the polka dot dress is so funky! This Lux by Urban Outfitters dress is casual enough for those who don't want to be too girly. Don't be frightened by the bright yellow colour! Shift dresses like this Top Shop one are oh-so-fabulous this season. To look sophisticated in it, wear black tights. At first glance, this Free People dress is very daytime, but the shiny silk and pretty delicate flower patterns make it OK for night time too. And to really start getting into the fall mood, a grey dress is the best thing to start with. This one is by As U Wish from the Nordtrom Junior Dept. I actually do love the yellow dress - it's definitely my style ;) Yellow screams happiness and joy! The grey dress from Nordstrom is also very fall-ish... Can't wait to put on some tights and boots! i love the first dress sooo much. although summer's ending and it's summery, i would love to have. Did you notice the heart pendant-ish necklace on the last grey dress? I love those kind of necklaces, i'm looking for one in silver. i LOVE the free people dress... sooo pretty! God I want that Topshop Rose and Nordstrom dress. I've had my eye on those two dresses for ages now! I've been reading your site for ages, and love it to bits. Have just started a fashion blog too, and we're pleased to link you up on our website. Marc Jacobs makes the prettiest dresses, doesn't he? I also love the Nordstrom dress. Perfect for fall. 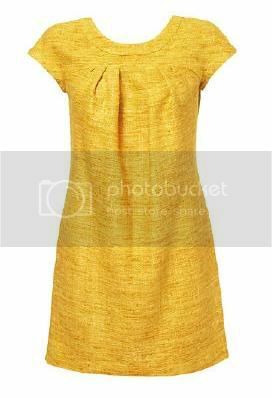 though id look horrible in yellow the cut is so simple and cute. and i love the blue and white free people dress! I would have to say the yellow dress is absolutely prefect for night and day time! All dresses ara very chic! 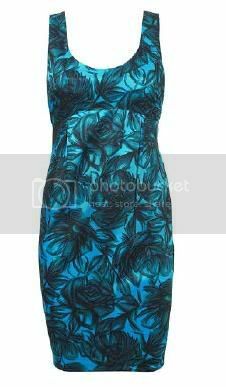 But my favourite, is the first dress, the floral! With a touch of 50s ! Kisses ! P.D. Your blog is genial ! 1021: There really aren't that many great malls in Chicago. I hear that Woodfield mall has alot of stuff in it, but I've been there and wasn't too impressed by its selection. Michigan Avenue (mag mile) is my favourite shopping haunt in Chicago. I go there almost every week when I'm there. It has a nice selection of high street stores and the brand names all on one big street. Another nice place to visit is Lincoln Park in around Armitage Ave area. In a nice neighborhood, the shops there are quaint with a ecletic mix of brands and vintage. A great place to shop around and enjoy a cup of tea at. Hope you have a fab time in chicago! So I'm luv'n the turquoise lace number from Top Shop. It's too cute for words! i wore that grey jersey dress from Nordstrom BP today and got so many compliments on it. the color makes it good as a foundation for layering and accessorizing, but the jersey just makes it more casual than i like for the evening hours. Ohh!!! Those dresses made me want to lose more weight. I love that white low cut neckline dress with ruffles. That yellow dress is so 50s and its just tempting. Harrods Girl, where did you find the Miss Selfridge dress online? I'm from the states, so is there some type of online website that would sell it? Those are beautiful spring time dresses!! I love all the printed dresses! !